Acer has finally overtaken Dell to become the second largest global manufacturer of computers behind Hewlett Packard according to IDC figures. Although Acer has been neck and neck with Dell for some time, the IDC figures confirm that the Taiwanese company has now moved firmly into the number two spot. 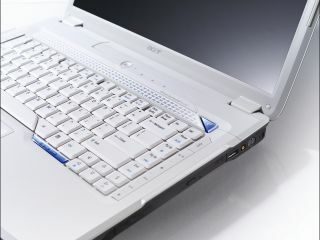 Dell's decline has been well documented, with the company surrendering its top spot to HP back in 2006 and now unable to fend off competition from laptop powerhouse Acer. IDC's figures show that HP is continuing to stretch it's lead – and now has over a fifth (20.2 per cent) of the market. Acer's chare has moved up from 11.4 per cent in the last quarter to 14 per cent, while Dell has dropped from 14.2 per cent to 12.7 per cent. Bringing up the rest of the top five are Lenovo (8.9 per cent) and Toshiba (5.2 per cent). Interestingly, Acer (11.1 per cent) has also overtaken Apple in the US market.